: Cook is Not Gender Specific Anymore! Gone are the days when female used to be the only gender in the corner of the house named Kitchen. Males too, have become independent enough to cook meals and handle the kitchen. Although, ample amount of credit goes to the kitchen appliances that have made the journey in the kitchens a cake-walk by their assistance. 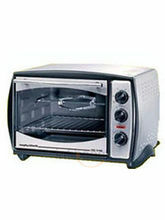 And one of such appliances is Microwave Oven. That is not it. 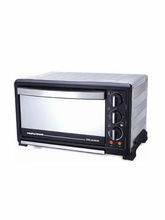 Microwave oven can be used for multiple purposes like baking, cooking, grilling, roasting etc. 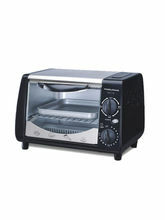 Be it an OTG oven or Microwave, cooking certainly is much more fun with them than without. Infibeam brings to you a range of best microwave ovens assembled under your thumb, for you to scroll and select the one that you prefer! Cooking is An Art, A Significant One! History too, mentions how cooking was used as way to lure the royals! Well, the royals do not exist now, but cooking still holds that place! The only difference now is that the way to delicious delicacies have become much easier. Whether it is an experiment that you are trying for your kids, or a dish to impress the guests, or a cuisine to satiate your taste buds, fear will be an entity that will be lost when it will come to you and cooking. And, at times when you feel like taking a break from the heavy-on-spices dishes, and wish to eat some healthy food, your oven still is the only thing that you need. 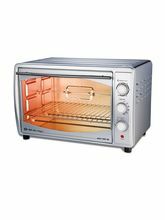 And the most exciting part about having a good quality (including small) microwave oven is that you need even be an expert in cooking, all you need is a desire to cook! 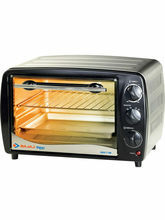 Moreover, you can even use it only to heat food. Either way, it is an appliance you cannot do without. Whether you are a professional cook or a novoice. Whether you are a working professional or a home-maker. Whether you are food-lover or a health-enthusiast. 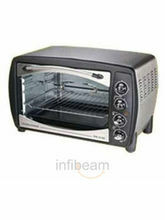 Infibeam has the right piece of microwave oven assembled together. 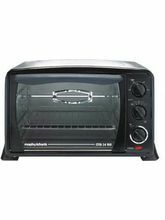 This collection has a wide range of best microwave ovens at best prices from companies like LG, Bajaj, Usha, Whirlpool, Kenstar, Havells and so on! 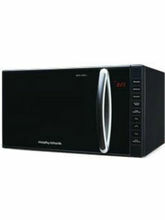 Nevertheless, in this superfast lifestyle, microwave ovens are not just a luxury any more. Rather, they are in fact an essential appliance required in kitchen! The prices that are on offer, not just for Microwave ovens but for other kitchen appliances (products) is sure to make Infibeam a one stop solution where your desires come to reality! So, charge up your thumbs, and hop on the offers now!